– The Direct Control feature allows gamers to command any single unit on the field at any time. Players have complete control over the unit’s actions and can change, upgrade and repair equipment and vehicles. – Three evolving storylines in the Soviet, Allied and German armies, comprising 19 missions in total. – Realistic models of armament and military equipment recreated in accordance with design drawings and historical documents. – Highly detailed WWII environments and characters faithfully recreated with a cutting-edge graphics engine. – The single player campaign features a fully customizable user interface. – Online play features a unique faction (the Japanese) and numerous gameplay modes including Capture the Flag and High-Value Cargo. 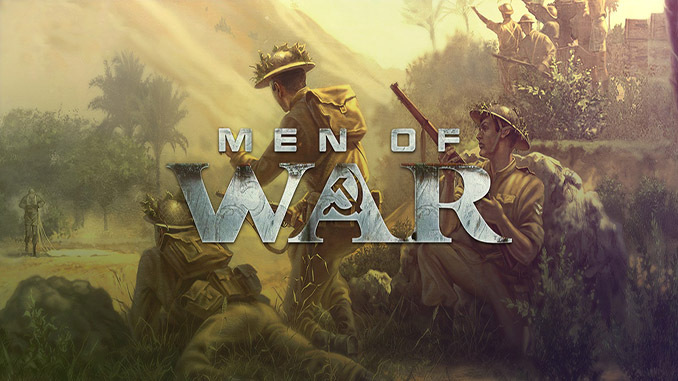 Men of War is a stunning Real-Time Strategy game that takes place during the height of World War II. Intense battles span Europe and North Africa as gamers play as Soviet, Allied or German forces across 19 massive single-player missions. Both multiplayer and single-player conflicts feature authentic vehicles and weapons of the era and brutal combat that will take players into the heart of the fight. Guys, we made a mistake on the download link, please use the other one (with fixed). Note: if you already downloaded the first one all you need to do is click on the new link then wait utorrent to create a folder then just copy the .exe and .bin and the download will continue. I have a question do you upload a rise and fall civilization at war? What do you mean? How did it happen? Thanks for dropping by and trusting us 😀 Have fun! I tried to download the fixed game it just asks me to add an extention to the browser in addition tons of ads this site seem to be a clear SCAM now I need to format my PC again, I RECOMMEND THE NEW AVOID IT. I just d/l it but there is no seed. ATM, everyone is at 99.8% at the worst thing is that readme.txt is not available for d/l. So I’m not sure how to go about to install the game into my Win10 PC. So could anyone seed it or give instruction on how to install it. Tks. What link did you download the old or the FIXED?